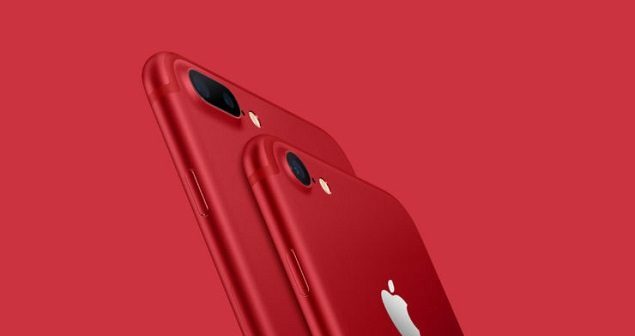 Apple recently announced there are to release a red version of their iPhone 8 and iPhone 8 Plus. These new colour variants will be a limited edition and will benefit RED a non-profit organisation dedicated to the fight against malaria, tuberculosis and AIDS. The organisation was co-founded in 2006 by U2 frontman Bono and Bobby Shriver. The new phones have been officially named as the “iPhone 8 and iPhone 8 Plus RED Special Edition”, and feature exactly the same internal components as the regular iPhone 8 and iPhone 8 Plus, however, the “Special Edition” is replete with a red glass enclosure, aluminium bands and a black front. The phones come in 64GB and 256GB configurations and are expected to retail starting from 28,500 Baht. The phones are available to pre-order in Thailand. The phones will be in official stores on Friday 13th April in the following countries, Singapore, China, Japan, UK and US. The countries of Malaysia, Thailand and India will have the phones available later in April and early May. Apple has also produced a RED special edition leather case to accompany the iPhone X, which was also released on Tuesday 10th. Apple has previously supported this organisation back in 2006 with similarly branded devices, the company has since donated over US$160 million to the RED worldwide fund, making Apple the largest corporate donor. Apple has yet to release any numbers on what they intend to donate per sale of the new RED Special Edition phones, neither has it mentioned the number of purchased devices over the years.